When you need auto repairs in Warren, Michigan that you can depend on, look no further than AAMCO of Warren MI. Our professional service technicians operate the latest technologies and diagnostic equipment available to complete a thorough evaluation of your vehicle’s repair needs. We conduct a deep inspection before moving on with any repair work to help you avoid added fees while reducing the time you spend without your car. We keep you up-to-date on your vehicle’s process, so you’re never waiting around nervously in the dark. We pride ourselves upon providing honest, efficient service to all of our clients, regardless of the make of your vehicle. That’s because we understand that our reputation is tied to every customer who walks through our doors. We don’t sell you components or services that you don’t need. We enjoy getting you in, out, and back on the road as safely and quickly as possible. Whether you own a foreign or domestic vehicle, you can count on AAMCO of Warren, MI, for all your transmission and auto repair needs. Our repair services include transmission repair, rebuilding and replacement of both manual and automatic transmissions, as well as complete brake repair and service, differential repairs and overhauls, engine tune-ups and fuel injection cleaning, steering and suspension repairs and so much more. 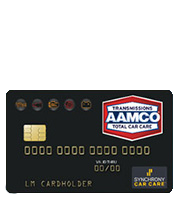 Contact us to schedule an appointment and discover the AAMCO difference today. Be sure to ask about our special offers and financing upon credit approval options! First time here and had a great experience. Friendly staff, my car was fixed the same day and the price was very fair. I'll definitely use their service again. Dave is friendly and knowledgeable. He got me right in first thing in the morning and my car was done before I was even done working for the day. If you want a good mechanic who won't be all shady and try to rip you off, go to Dave. He will take good care of you. The staff at this location was very attentive to me in helping me resolve my problem. They handled my repair with a since of urgency in which now days is hard attribute to find. Thanks Team!!!! Maria and Dave were outstanding in getting the extended warranty work done on my used car purchased through a local dealership. Dave was able to work and get my transmission rebuilt by persistence and perseverance. I would highly recommend the team at AAMCO Transmission. YOU GUYS ROCK!!! Thank you so much! I had a major problem with a rebuilt transmission from an auto supply store. Dave was able to diagnose the problem and get me back on the road. Dave really cares about his customers! Fantastic service! Love these guys! Friendly, honest and affordable. I was looking for a reputable company and am sure I found the one. They found the problem with my vehicle with a full inspection and let me know what the exact cost would be with no surprises attached. Gotta love that! Thanks again guys! Been going to this place for over 2 years now and they always take care of me. Maria and Dave are absolutely the best. Every time I needed my car worked on they knew exactly what the problem was. I will always go to them or send someone their way. Great service and very welcoming!! AAMCO is a great transmission repair shop with great employees. I took my 08 dodge charger and wife 09 Pontiac G6 for transmission tune-ups. Dave is very honest about what your vehicle needs. I recommend this place for service for any vehicle. They are very fair in pricing, nice and friendly, fast, and efficient. They fixed my jeep faster than expected. I will definitely recommend them for any transmission or coolant work. Love this AAMCO. They are always very straightforward about what needs to be done to my car and how much it will cost. I've had a complete transmission replacement and am very pleased! These are the professional people you want to see for any/all of your car issues! © 2019 AAMCO of Warren MI. All Rights Reserved.